Get ready for London to host the world premiere of The Rock’s big new disaster flick, San Andreas. Two big new trailers this week. 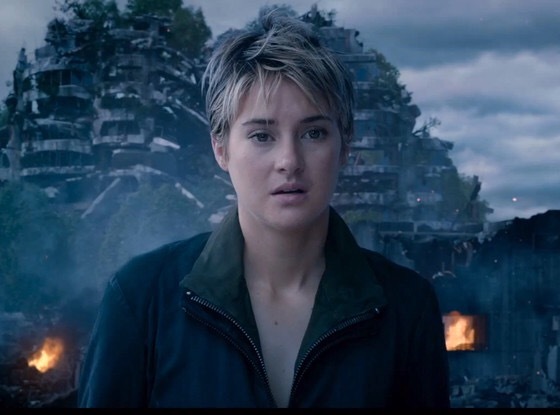 First, it’s the official trailer for Insurgent, the sequel to Divergent, starring Shailene Woodley and Kate Winslet. It’s due in UK cinemas on March 20. San Andreas stars Dwayne Johnson (aka The Rock), Paul Giamatti and Archie Panjabi from The Good Wife. It’s a disaster flick about a search and rescue helicopter pilot who has to make his way from LA to San Francisco to rescue his daughter after a huge earthquake. The film’s due to be released in May.